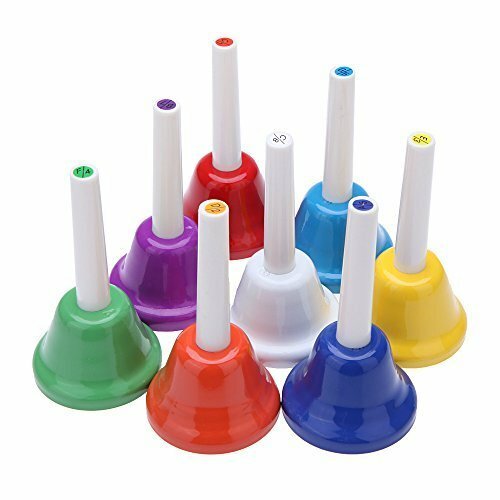 Andoer Handbell Hand Bell 8-Note Metal Colorful Kid Children Musical Toy Percussion Instrument by Andoer at Bass Brass. MPN: B4Q1420195515166I5. Hurry! Limited time offer. Offer valid only while supplies last. This item is a good gift for children to learn music, patience, and cooperation as they learn to play simple songs, and it must bring them much fun. This item is a good gift for children to learn music, patience, and cooperation as they learn to play simple songs, and it must bring them much fun.